The men and women of the Roanoke Valley have a long history of service to our country. The Roanoke Valley Veteran’s Center (RVVC) is an effort to pay tribute to that service. It provides young people the opportunity to see and hear history come alive through the eyes of our veterans. More importantly, it honors the veterans that served in the past as well as is a springboard for future veterans. 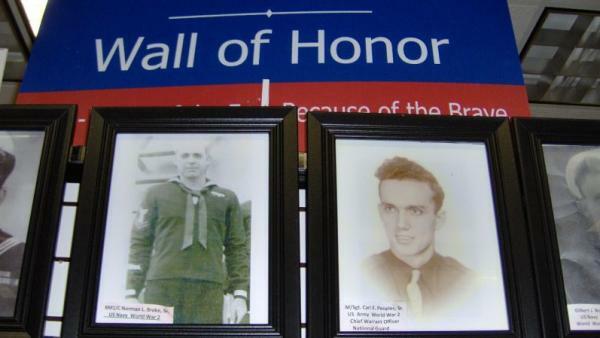 Located in Becker Village Mall, RVVM has several Walls of Honor, displaying the photos of both deceased and living veterans with ties to the Roanoke Valley and currently serving members of the armed forces. Stories and memorabilia from all area veterans showcase the fabric of their military lives and provide young people with the opportunity to see and hear history come alive through the eyes of the veterans who made that history. Located in Becker Village Mall.